Pancakesandcider.com [BOSS] interviews feature women and couple entrepreneurs, trendsetters, and difference makers. We're very proud to showcase their stories. Donnie Smith is the co-founder and executive director or Donda’s House, Inc, a nonprofit to support young aspiring artists in Chicago. She is also married to Grammy and Oscar award winning artist Che “Rhymefest” Smith. Donda’s House launched in 2013 by Donnie, Che, and Kanye West, the organization’s mission honors the educational legacy of Dr. Donda West (mother of Kanye West) by implementing arts and literature experiences that transform the lives of youth. Students venture through a yearlong program based on their creative interest such as Got Bars a music composition and performance program, as well as an acting and fashion track. P&C: How was the transition from teacher to full-time executive director? Donnie: I did both for a full year. I told myself once I replace the income from teaching, I could quit. In 2014, I received a fellowship that allowed me to make the transition complete. The advice I give to entrepreneurs, if you want to work full time as an entrepreneur make a plan to sustain your lifestyle. You can make decisions that are risky, but ultimately benefit your goals as an entrepreneur. P&C: I see Donda’s House focuses on youth from the age of 14 – 24. What is the reason to focus on that specific age group? Donnie: Based on our research that is the age group most likely to partake or become victims of violence. We have a violence issue in Chicago because young people do not have activities to do after school. If you give students more activities that are interest driven so that they are creative such as free studio time they would much rather be in the studio than on the corner. P&C: Do you feel pressure to do justice to Dr. Donda West’s namesake? Donnie: We say that Kanye West just so happens to be the son of Dr. Donda West. She setup Donda’s House 1.0 with a recording studio in her house where Kanye would bring all of his artist friends, including Rhymefest, to record and hangout. She mentored these young men. Dr. Donda West provided a model of opening her home and following children along those interest pathways. We believe there are a lot of lessons to learn from Dr. West as a parent and a community leader. We are picking up the baton to what she started. She laid the blueprint as to what needs to transform Chicago. P&C: How did yourself, your husband, and the rest of Donda’s House react when your story was featured directly by Facebook and Mark Zuckerberg himself? Donnie: At the time Kelsey Riley, alumni, worked as a social media manager and replied to a Facebook post on how we communicate with our students via Facebook groups. One of the editors contacted us, scheduled an interview, later the FB team flew to Chicago to interview students. We wanted the experience to be about the students and the community. The video came out in November 2014. They didn’t promise if Mark was going to share it, but he did post it on his personal page. The post led to over 30k likes and impressions. It was the best 90-second commercial! It was an amazing experience. 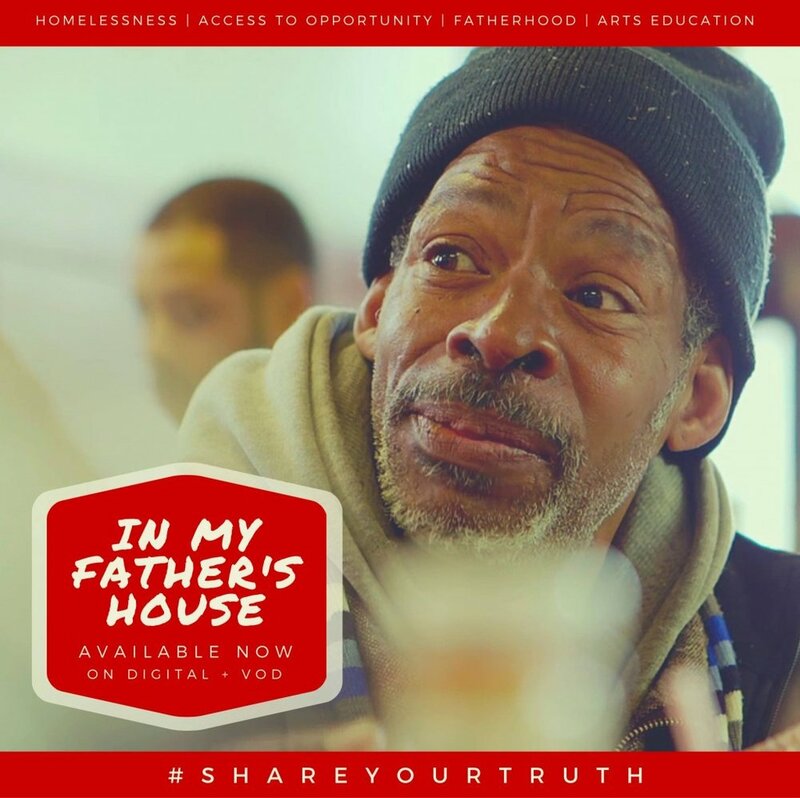 P&C: Can you tell us a little about the process of filming “In My Father’s House” and then releasing such a personal story to the world? Donnie: In My Father’s House is a documentary about myself, my husband, and his father Brian reuniting. My husband hasn’t seen his father since he was 12 years old. We get married and purchase the family home his father grew up in. Once we moved in my husband never felt comfortable, he had a lot of questions and decided to find his dad. It covers meeting Che’s father at the library, getting him off the street, treating his alcoholism, and meeting his grandchildren. We filmed with Breakthru Films for a year with one year of editing. We received the first cut of the film in November 2014 and were thinking what did we get ourselves into. It was accepted to Tribeca Film Festival. We hope the film sparks people to find out their own family history. P&C: By the end of 2016, how would you measure the success or growth of Donda’s House? Donnie: Our number one goal is to touch young people by giving them tangible opportunities that meet them where they are. We have served over 200 youth in Chicago and we continue a relationship with our artist even after they finish the program through employment and academic opportunities. It’s all about helping young people figure out what their goals are and giving them the tools, space, and resources. This year we hope to impact 200 young people. We are looking for our own space. We are looking for international artist exchange opportunities and expanding to other cities. Donda's House is gearing up for 2016, and needs your support as they plan to move into a headquarters space, send students out of the country for the first time and deepen our support for our 200+ alumni. Learn more about our plans here, and make a donation here. With your support they can reach their $10,000 goal! For more information on Donda’s House, In My Father’s House, or Donnie please visit the respected websites. In My Father’s Houseis available on iTunes and Amazon. For more information visit www.inmyfathershousefilm.com.